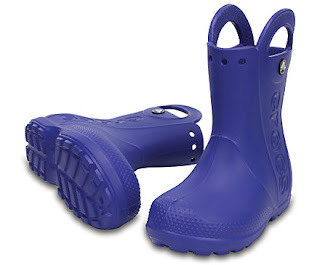 Right now Take 34% Off Kids' Handle It Rain Boot with code HANDLEIT34 at Crocs.com! Now kids can enjoy classic Crocs comfort — even on the rainiest days. Our kids' rain boot is available in bright colors with a waterproof build that keeps puddle-jumping feet cozy and dry. Plus, oversized handles make them easy for kids to put on and take off.